This post can help keep your eyes safer. Mascara is essential for making more of our lashes. If you want to keep your eyes safe from a bacterial infection, it is always a good idea to take the proper precautions. Resist the urge to pump your mascara wand in and out of the tube to load it. Doing this forces air into the mascara that can bring bacteria with it to speed up the already short three-month shelf life of this eye product. 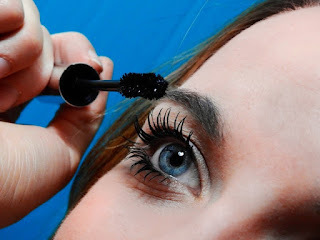 Habitually pumping mascara also dries it out sooner. Instead of pumping, try twisting the wand as you?re taking it out. This technique will do what you need, keep your eyes healthier and the mascara more sanitary. Though it may not have dried up or changed in its scent, the formula becomes a breeding ground of bacteria that needs replacing over time. After three months, the longer that you keep using that mascara only increases your risk of developing an ugly, painful eye infection. So be safe and just toss to stay beautiful!